EXCLUSIVE! 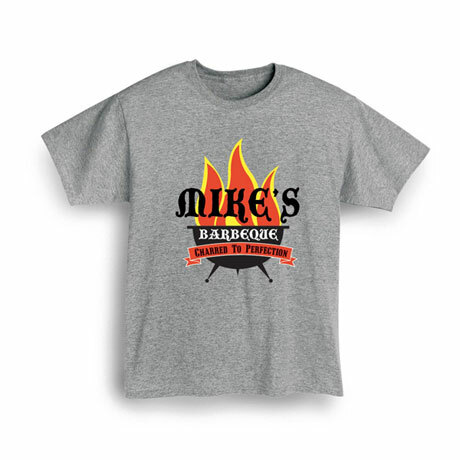 The shirt to wear as you fire up the grill and char some mouth watering meat to perfection. 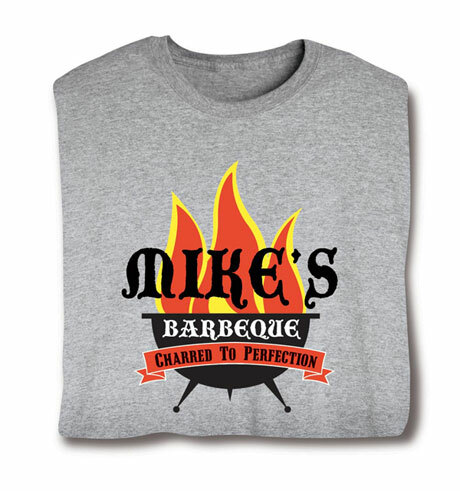 Easily customize up to 12 characters of text that lie over the flame and don this shirt as you show off your grilling skills. Also makes a great personalized gift for the grillmaster in your life. T-shirts are 90% cotton/10% poly, sweatshirts are a 50-50 cotton/poly blend. Imported shirts. Printing in the USA. Machine wash. M-XXL. Sport gray color. Also available on white kitchen/bbq apron.